Marshall is the big bad wolf. He is a powerful athlete and a physical specimen with advanced weight lifting measurements. Marshall’s Clinch Co. team won the state championship and the bruising back was very hard to stop in the process. Marshall keeps his feet moving and is a load to bring down in the trenches. The class of 19 athlete has light feet, and makes precise cuts that leave defenders with more grass stains then tackles. 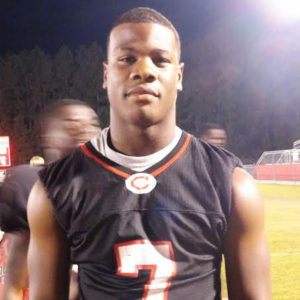 Marshall is the top player in south Georgia for the class of 2019 in our opinion.